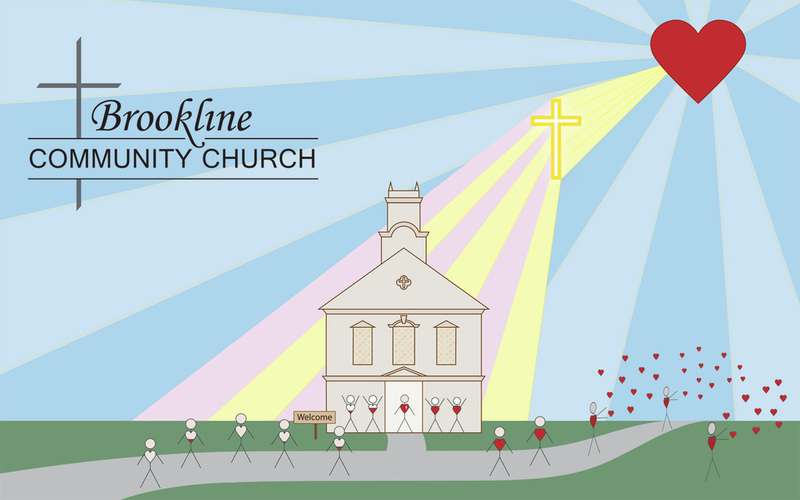 The Brookline Community Church is a small but active congregation located in Southern New Hampshire and dually affiliated with the United Church of Christ (Congregational) and the United Methodist Church. We are committed to our vision of helping our members grow in their Christian faith from childhood on and we embrace all who wish to worship or engage with us as we seek to live by the truth of God’s word in our everyday lives. Throughout our entire lives, we strive to learn and grow in our relationship with God and to build a loving community of committed Disciples of Jesus Christ, that we may serve as He did, first in our community of Brookline, New Hampshire and ultimately throughout the world. ﻿We seek to center ourselves as individuals faithful to the will of God as taught to us by Jesus Christ, and we strive to be a welcoming and nurturing Christian community. We are fed by the Holy Spirit of God and we share that peace and other blessings with our community and the world.